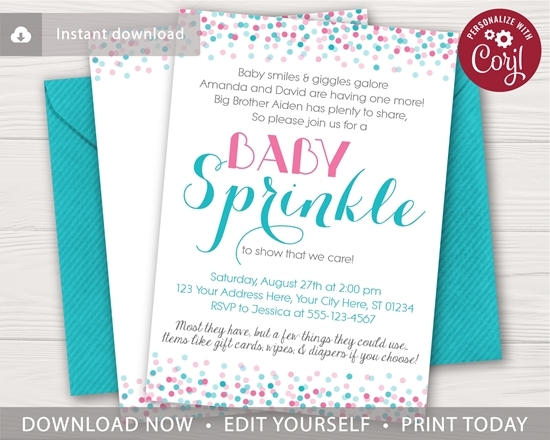 This editable and printable confetti 5x7 invitation is perfect for a baby sprinkle themed in pink and aqua! This editable and printable confetti 5x7 invitation is perfect for a baby sprinkle themed in green and blue! 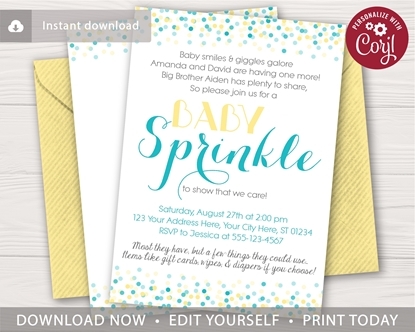 This editable and printable confetti 5x7 invitation is perfect for a baby sprinkle themed in baby yellow and aqua!